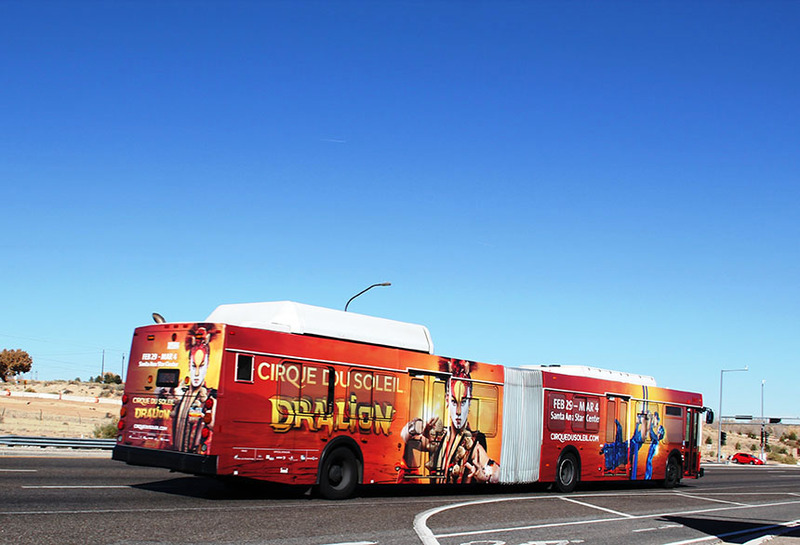 Cirque du Soleil used Lamar transit to market the opening of their show in Rio Rancho, NM. This full bus wrap creative is attention grabbing as it moves through key commercial areas. This creative is directly at eye level for both drivers and pedestrians, which ensures that it will make an impact.